Liam Stack. New York Times. Fri, 26 Apr 2019 03:11:26 GMT. As football fans flocked to Nashville for the annual NFL draft, not everyone in Music City U.S.A was pleased about the massive turnout. Paulina Dedaj. Fox News. Fri, 26 Apr 2019 03:06:38 GMT. Reuters. Thu, 25 Apr 2019 22:06:52 -0400. London copper prices on Friday inched away from a one-month low touched in the previous session, buoyed as the U.S. dollar eased from a two-year high. Reuters. Thu, 25 Apr 2019 22:06:49 -0400. Michael R. Sisak. Fox News. Fri, 26 Apr 2019 02:05:43 GMT. Eric Lipton and Julie Turkewitz. New York Times. Fri, 26 Apr 2019 01:54:34 GMT. ABC News. Thu, 25 Apr 2019 20:40:27 -0400. ABC News. Thu, 25 Apr 2019 19:04:58 -0400. CBC News. Thu, 25 Apr 2019 18:30:00 EDT. Sweta Jaiswal, Frm. Zacks. Thu, 25 Apr 2019 21:13:00 GMT. CBS News. Thu, 25 Apr 2019 20:35:33 +0000. Yahoo. Thu, 25 Apr 2019 14:37:19 -0400. ESPN. Thu, 25 Apr 2019 12:55:48 EST. CNBC. Thu, 25 Apr 2019 17:38 GMT. UPI - United Press International. NPR - National Public Radio. CNN - Cable News Network. Fox News - Fox News Network. CBS News - Columbia Broadcasting Service News. ABC News - American Broadcasting Corporation News. MSNBC - a Microsoft and NBC news venture. New York Times - a New York City-based newspaper. Washington Post - a Washington, DC-based newspaper. Los Angeles Times - a Los Angeles-based newspaper. Chicago Tribune - a Chicago, Illinois-based newspaper. Wall Street Journal - an NYC-based business newspaper. Drudge Report - a manually-edited news aggregator. News Professionals - a news media career guide. In 2017, the estimated population of the USA was 325,719,178. For detailed, up-to-date information about United States and World population, visit the United States Census Bureau's Population Clock web page. 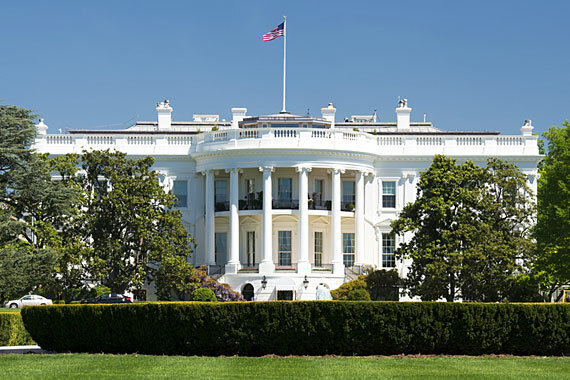 The photograph above shows the United States White House in Washington, DC. More extensive news coverage about more than 400 subjects, aggregated from carefully chosen news sources, can be found on this USA Regional News website. Search News Archives. The News Business. About us.